Things don’t always go as planned. Ask the UFC about this right now and company head Dana White will probably go on a profanity-laced tirade. It’s all because of UFC Fight Night 70. The event was meant to serve as the finale for the UFC’s latest iteration of The Ultimate Fighter: Brazil, but the U.S. State Department’s visa system tanked and many of the scheduled competitors, including those in the TUF Brazil finals, were prevented from making the trip stateside. So, instead, the UFC has an abbreviated event on its hands. 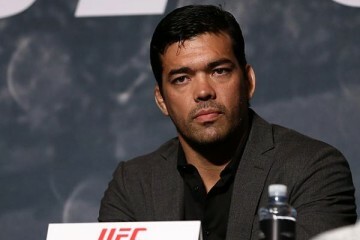 Luckily for Dana White and company, one particularly important Brazilian could make the trip to Hollywood, Fla. That man is former UFC light heavyweight champion and current middleweight contender Lyoto Machida. Machida’s star continues to shine bright, but there’s a surging competitor seeking to steal some of that shine. Yoel Romero went from Olympic silver medalist to a mixed martial artist with slick wrestling and explosive striking. He entered the UFC and quickly started picking off opponents as he climbed the middleweight ladder. After a September win over Tim Kennedy, the Cuban put his name in the hat as a potential challenger to Chris Weidman’s crown. If Romero can get past Machida, who came up short in a five-round battle with the champ and more recently suffered a submission loss to current No. 1 contender Luke Rockhold, then he might be knocking on the door to a title shot of his own. Romero and Machida are joined by a new co-headliner featuring Lorenz Larkin’s second appearance at 170 pounds. Larkin meets The Ultimate Fighter: Brazil 2 competitor Santiago Ponzinibbio. The card is rounded out by just six additional bouts, making it one of the shorter UFC offerings in recent memory. The action kicks off at 10 p.m. ET on Fox Sports 1. Combat Press writers Eric Reinert and Bryan Henderson break down the card in this edition of Toe-to-Toe. Yoel Romero has gone undefeated since entering the UFC, and he’s done so against increasingly difficult competition. 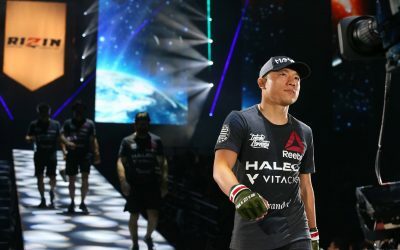 His last victory came against Tim Kennedy, an established top-10 fighter, and his previous two victories came against men who have flirted with top-15 status at some point in their careers. Will Romero cement his status as a real-deal contender against Lyoto Machida in the evening’s main event? Henderson: When Romero first transitioned from ankle-picking veteran opponents on the European circuit and scoring quick knockouts to getting knocked out himself in his Strikeforce debut, I started to have a flicker of a doubt about how he’d do at the top level. Then he transitioned to the UFC and scored two knockouts and a TKO in his first three fights. Doubts vanquished. The first fight did come against a middling competitor in Clifford Starks, but even Starks is legitimate enough to boast victories in the UFC, Bellator and the World Series of Fighting. Romero then handed Ronny Markes, Derek Brunson and the aforementioned Kennedy their first UFC losses after the trio had combined for an 8-0 mark inside the Octagon. Not bad work for the former Olympic silver medalist wrestler. Romero is a scary talent. Not only is he an Olympic medalist and world champion wrestler, but he has lethal, explosive stand-up skills. He can put on a wrestling ballet of ankle picks or simply knock his opponent into next week with a flying knee. So, yes, he is the real deal, and that stands regardless of how he does this weekend. I say that because he’s fighting Machida, a former UFC light heavyweight champion who is capable of hanging with the best of the best. If Romero loses this fight, he shouldn’t be ashamed. However, Romero is quite capable of winning. After all, Phil freaking Davis decisioned Machida, and Romero is a better wrestler and a far better striker than the UFC castoff. 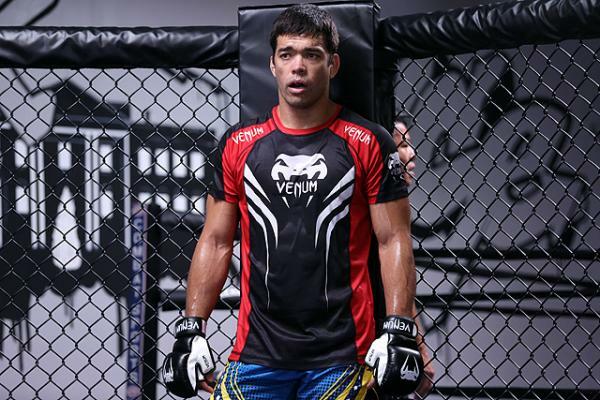 Machida’s recent record — from the title loss against Mauricio “Shogun” Rua to present — reads like that of a veteran who is encountering some struggles in his attempt to stay at or near the top. He’s still a contender, there’s no doubt about that, but he may not be able to deal with everything Romero brings to the cage. Barring a perfectly placed knockout blow akin to what Rafael “Feijao” Cavalcante delivered against Romero in Strikeforce, Machida isn’t going to emerge with the win. Instead, this will be Romero’s coming-out party as one of the front-runners for a crack at Chris Weidman’s middleweight strap. 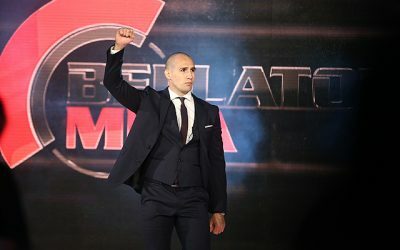 Reinert: While Romero is without a doubt one of the most dangerous middleweights in the UFC, I guess I’m not as sure that he will have as easy a time against the former light heavyweight champion as my colleague seems to be. Yes, there is the loss to Phil Davis to consider, but you can’t ignore his other relatively recent victories over guys like current light heavyweight title contender Ryan Bader and No. 7-ranked middleweight Gegard Mousasi. 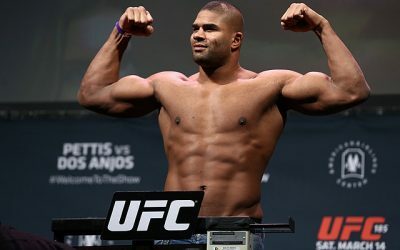 Aside from Davis (who at one time was considered to be flirting with the light heavyweight title picture), the only guys to whom Machida has conceded defeat are now or were at the time among the very best in their respective divisions. I think Machida is a sure-fire UFC Hall of Famer, and while Romero was messing around over in Europe, Machida was fighting the most talented guys in his division. I’ve never been a huge fan of Machida’s style, but I think that’s going to be the key against Romero. If Machida can keep his distance and, most importantly, stay out of Romero’s grasp, I think he’ll frustrate Romero enough for him to make a mistake and leave an opening. When he does, Machida will land one of those perfectly placed TKO setup blows. 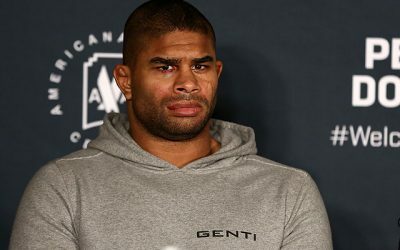 Romero is a tremendous athlete and so far he’s been a good fighter, but (with all due respect to Tim Kennedy), Machida is on a completely different level than anyone Romero has faced thus far, and I think that lack of experience against the best of the best will be the difference-maker on Saturday. With the UFC running into visa problems for several fighters originally slated to compete on the UFC Fight Night 70 card, the company lost its original co-headliner of Erick Silva and Rick Story. The replacement bout? Lorenz Larkin’s welterweight match-up with Santiago Ponzinibbio. How much of a downgrade is this change? Is there another fight on the card that would have been a better pick for the co-main event slot? Reinert: For me, the scrapped fight between Silva and Story had the greatest potential for “Fight of the Night” (and could very well have been one of the best fights of the year). I say this only because Silva is as explosive as Story is difficult to stop, so theirs would have been a true war of attrition. With all due respect to Larkin and Ponzinibbio, the elimination of Silva/Story constitutes a significant downgrade to a card already bereft of well-known fighters. Larkin was once a middleweight contender in Strikeforce, and scored a decision victory over current UFC welterweight champion Robbie Lawler in 2012. After transitioning to the UFC, however, he went just 1-4 at 185. Larkin decided to drop to welterweight early this year, and scored a TKO win over John Howard. Ponzinibbio has gone 20-2 as a pro, and has won each of his last two. I suppose if any fight is going to be promoted to co-main event, it’s this clash between two fighters who have previously proven they can fight, but now need the mutual step up in competition to prove they can contend. If any other fight was going to occupy the co-main event slot, it would have to be the welterweight contest between Steve Montgomery and Tony Sims, if only because Montgomery is the only other fighter on the card (besides Yoel Romero) who trains in Florida. Might as well give the hometown guy a little extra attention. Henderson: I, too, find the shift from a Silva/Story co-headliner to the new Larkin/Ponzinibbio fight to be a downgrade. Silva and Story are established names to MMA fans. They may not be contenders right now, but, to echo my colleague’s words, we’re talking about an excellent and exciting finisher and a tough-as-nails veteran who has pushed a lot of men to their limits. Larkin and Ponzinibbio do have a lot of potential (I’ll save most of my words on that topic for later), but Larkin still needs to get solid footing as a welterweight and the Brazilian just needs to get solid footing in general with fans outside of his homeland. They make an excellent sleeper fight (again, more on that later), but they aren’t exactly co-headliner material. However, what else is there to chose from? My colleague had to dig deep for his pick — a pair of UFC newcomers, neither of whom has ever entered a discussion as one of the best in their division outside of the UFC, a typical newcomer’s necessary qualification in order to headline or co-headline an event. In terms of deserving fighters, Hacran Dias, despite a 1-2 mark over his last three fights, is probably the closest thing to a contender residing outside of the main event on this bill. Dias, himself ranked No. 13 in the UFC’s featherweight poll, suffered his losses to No. 4-ranked Ricardo Lamas and No. 9-ranked Nik Lentz, while also scoring a victory over No. 14-ranked Darren Elkins. 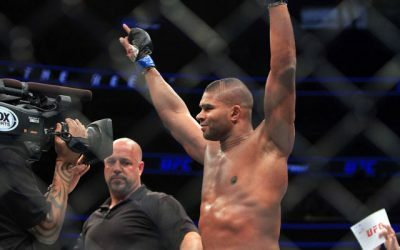 However, the Brazilian’s tendency to go the distance inside the Octagon — it’s happened in all four of his UFC outings — combined with a newcomer opponent in Levan Makashvili, who has gone the distance in five of his eight career outings, probably put the kibosh on any chance of this fight moving up in the lineup. Despite having a card that is not only chock-full of Brazilian fighters, but was also meant to serve as the finale for a season of The Ultimate Fighter: Brazil before the UFC ran into visa issues, this weekend’s UFC Fight Night event takes place stateside in South Florida. Perhaps even more bizarrely, the finale for the current American season of The Ultimate Fighter (you know, the one that actually takes place in South Florida) comes to us from Las Vegas. Can you make sense of these strange venue choices? Henderson: It is odd, isn’t it? What makes it even more puzzling is that these events were actually shifted from locations that made much more sense. 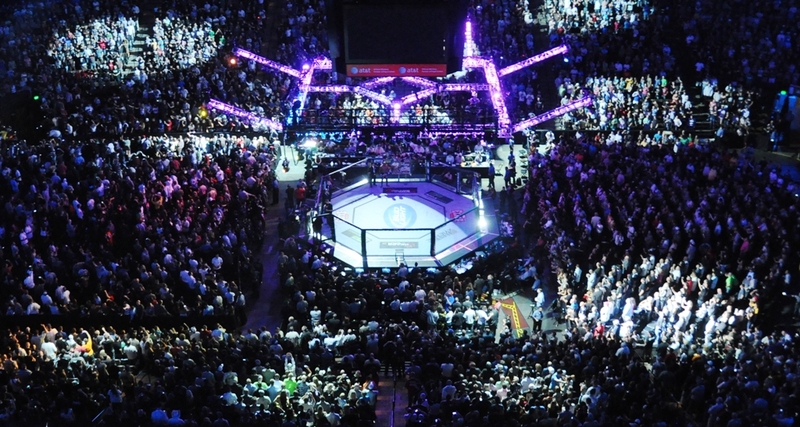 When UFC Fight Night 70 was first announced, it was slated to take place in Sao Paulo, Brazil. And when the TUF 21 Finale was originally announced, it was set to go down in South Florida. Then, in mid-May, the UFC decided to make some changes. The TUF Brazil finale event moved to South Florida and the TUF 21 Finale jumped to Vegas as a wrap-up event for International Fight Week. Of the two moves, the TUF 21 Finale is the easier to speculate on. International Fight Week lasts from July 7 through July 12. In that week, Vegas will host three major UFC-related events: Invicta FC 13, UFC 189 and the TUF 21 Finale. Three days later, the promotion plops down in San Diego for UFC Fight Night 71. And just three days after that, the UFC sets down in Glasgow, Scotland, for UFC Fight Night 72. Between July 9 and July 18, the UFC and related promotions have a grand total of five events planned. That’s a lot. My guess here is that the UFC wanted to minimize its moving parts during and just after International Fight Week, keeping production crews and its Octagons in a fairly centralized set of locations (Vegas and San Diego) while only making one long trip away from its home base. The explanation for the TUF Brazil event isn’t quite as clear, however. The promotion could just as easily have kept the event in Brazil, but perhaps the UFC brass felt it had to make it up to South Florida. Brazil has seen a plethora of events in the last year — seven, to be exact — and has another scheduled for August. Florida, meanwhile, has not hosted a single event in the last year, just two since 2012, just three since 2009 and only 14 total in the UFC’s history. Despite the presence of some major cities and a couple of elite squads (both of which are competing on The Ultimate Fighter’s current season), Florida has largely gone overlooked by the UFC. So, I’m chalking this decision up as a little form of mea culpa on the UFC’s part for yanking the TUF 21 Finale from Florida. Although the logic makes sense, it seems like these moves have to hurt the UFC at the box office. Are Floridians more likely to show up for a battle between two local camps or an event that was set to feature the finals of an edition of TUF that most Americans probably haven’t followed closely? And wouldn’t Brazilians show up in droves to cheer on their own for the UFC Fight Night 70 event? There’s also the bad luck the UFC ran into in trying to secure visas for its Brazilian fighters competing at the Florida event as the U.S. State Department has struggled to get its visa system back online. Essentially, the UFC created a problem for itself that required the yanking of numerous fights from the card and the addition of a couple of last-minute replacement bouts. 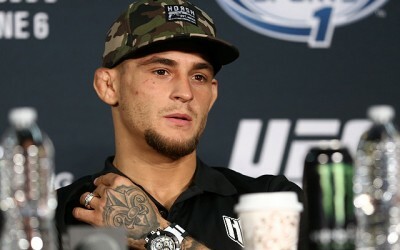 Perhaps the UFC figures that the elimination of some extra travel and the movement of one show to a busy International Fight Week event schedule will make up for any drop in interest for its Florida show and any stumbles it may face in getting its lineup to the venue, but this still seems like a lot of trouble to jumble up a schedule that initially made much more sense. Reinert: There’s not too much more I can add to this other than to hope that the combination of Yoel Romero’s American Top Team homebase and his Cuban heritage will still attract South Floridians to Saturday’s event. 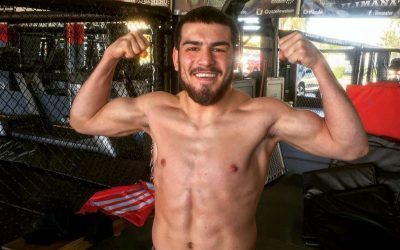 While I agree that the finale of the ATT/Blackzilian season of TUF is probably a more appropriate event to take place in Florida, the presence of one of the state’s adopted sons (who also happens to be one of the best middleweights in the sport) should provide enough of a draw, especially considering Romero’s legendary opponent. That said, and without getting into too much unnecessary criticism, this all could have been avoided if this event would have taken place in Brazil as planned. I understand the logistical issues that Bryan raises, but the UFC is a multi-billion-dollar company. If Amazon can ship thousands of packages across the country overnight every single day, surely the UFC could have figured out a way to get its people and equipment where they needed to be when they needed to be there. Steve Bosse is set to make his UFC debut… for the third time. He’s a 10-1 prospect who had bouts with Ryan Jimmo and Fabio Maldonado scrapped, and now he’s set to fight Thiago “Marreta” Santos. However, Bosse has only fought once since 2011. Will the wait be worth it, or will Bosse simply turn out to be an easy win for Marreta? Reinert: It is true that Bosse has had a few long layoffs in his pro career, most recently stepping into the cage more than two years ago, but perhaps the time off has been good for Bosse’s health. He might be a promising prospect, but at 33 he’s not exactly a young promising prospect. What gives me the most confidence that he’ll still be able to compete on Saturday is his Tristar training pedigree. If anything, though, this should be a middleweight firefight, and that’s why I’m looking forward to it. Eight of Bosse’s 10 pro wins have come by knockout or TKO, as have six of Marreta’s 10 (including both of his UFC victories). Bosse has been to decision just once, and three of Marreta’s four UFC bouts have ended before the final bell. This one has all the ingredients for a throwdown, and it is not to be missed. Henderson: Maybe I’m just a pessimist, but when a fighter signs with the UFC and retires before ever setting foot in the Octagon and while citing that “the rage is no longer in” him, I’m not too anxious for his return to the sport just over a year later and more than two years removed from his last actual fight. Yes, the layoff might have allowed him to mend, but did it renew his passion for fighting? Maybe. Or maybe not. Bosse’s Tristar camp and his list of big TKO victories is enough to at least create hope that he’ll come out firing on all cylinders, meet Marreta in the middle of the cage and go for broke. However, he’s scored most of his victories against middling and sub-.500 competition. Even his wins against UFC veterans Houston Alexander, Marvin Eastman and Wes Sims stand as a trio of victories against fading names from the past. Bosse still has a lot to prove, in other words. The wait might not be worth it, but that’s not to say that Bosse will be an easy win for Marreta. We could see a lot of tentative striking or clinch work from Bosse, who looks like the stronger fighter coming into this match-up and could therefore dominate in a more grinding affair. Bosse might even pull out the win, though I have my doubts, but the odds are low that he turns any heads with his performance. Henderson: After a disastrous UFC run as a middleweight, Lorenz Larkin looked like a new man in his UFC welterweight debut in January. His five-fight tenure as a UFC 185-pounder had resulted in four losses and an underwhelming decision win over Chris Camozzi. As a 170er, though, Larkin stopped John Howard via TKO in less than two and a half minutes. Now, he has a potential sleeper match-up at UFC Fight Night 70, where he meets Santiago Ponzinibbio. The Brazilian Ponzinibbio made it to the finals of The Ultimate Fighter: Brazil 2, but he was forced out of the competition with a broken hand and never had the opportunity to fight for the trophy and the TUF contract. 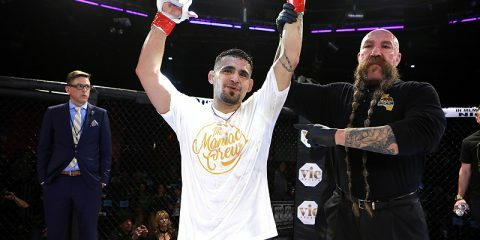 He lost his official Octagon debut to Ryan LaFlare, but rebounded with a first-round knockout of Wendell de Oliveira Marques and a decision win over Sean Strickland. The 28-year-old tends to finish his fights. He has 11 victories via strikes and five by way of submission. Larkin is facing a finisher while also rediscovering his own ability to finish fights. It’s another step in Larkin’s quest to become a contender, and he’s looked a lot better as a welterweight. It all creates the perfect recipe for a fight that could feature some great exchanges and holds the potential for a big finish. The fight was originally slated to appear much further down the card, but the UFC validated its sleeper potential by shifting the match to the co-headliner slot after visa issues forced the scrapping of the original co-main event between Erick Silva and Rick Story. Reinert: It’s gotta be Alex Oliveira vs. Joe Merritt, by virtue of their incredible finishing rates. Oliveira’s first seven professional wins came by knockout or TKO, and his last victory (just a few weeks ago) came via submission over the dangerous puncher K.J. Noons. Merritt has kept it more simple, finishing each of his six professional opponents with strikes (including four in the first round). The chances that this goes to decision are slim to none. Reinert: Some type of non-MMA plans for July 4th. While the UFC has traditionally brought out some of its best events on Independence Day weekend, the promotion is instead taking the day off in preparation for the aforementioned International Fight Week, when it will run five events in 14 days. Go check out some fireworks. Henderson: A marathon of The Ultimate Fighter: Brazil 4 on UFC Fight Pass. If you’re a UFC fan, the next couple of weekends will be a bit slow. Getting away from the television and checking out some fireworks, as my colleague suggested, isn’t a bad idea at all. However, if you need to get that UFC fix, there’s always the TUF Brazil season that was meant to come to a conclusion with UFC Fight Night 70. Odds are that you probably haven’t watched those episodes, so here’s your chance. You have permission to skip all the house antics and other nonsense and fast-forward to the fights. The finishing rate on the show has actually been pretty good too: 13 out of 16 qualifying fights ended in a stoppage, as did half of the elimination round and semifinal fights.